James Brooks, Head of English at Liceo Erasmus in Spain explains how Britannica School helped their institution. 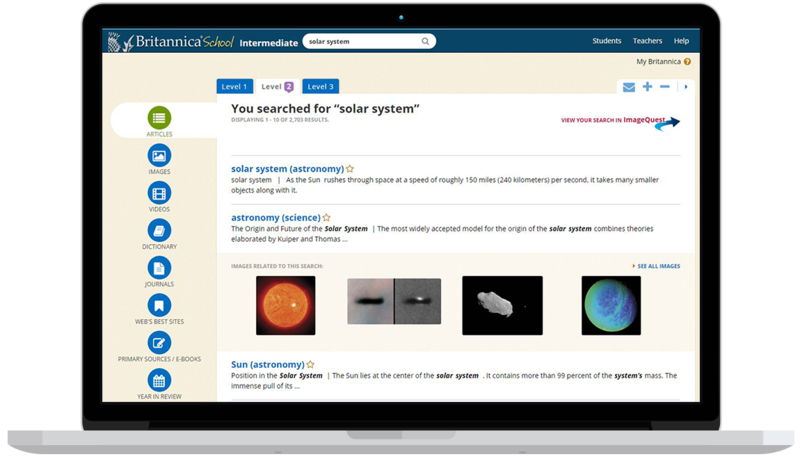 We needed access to a wide range of information that would be available at varying levels, appropriate to different learners that would be accessible in a safe and secure environment; Britannica provided this. We had struggled in the past to find these resources within a safe environment, and also to give students the depth of information required for their studies. The history of Britannica, and the clarity of the information within the content made Britannica really stand out for us when we were looking for a digital learning resource provider. We’ve benefitted in many ways from this new resource, the main one being that students at different levels are able to all work on the same project and topic within the classroom, and the same time, using the same resource and are able to understand it at their own level.